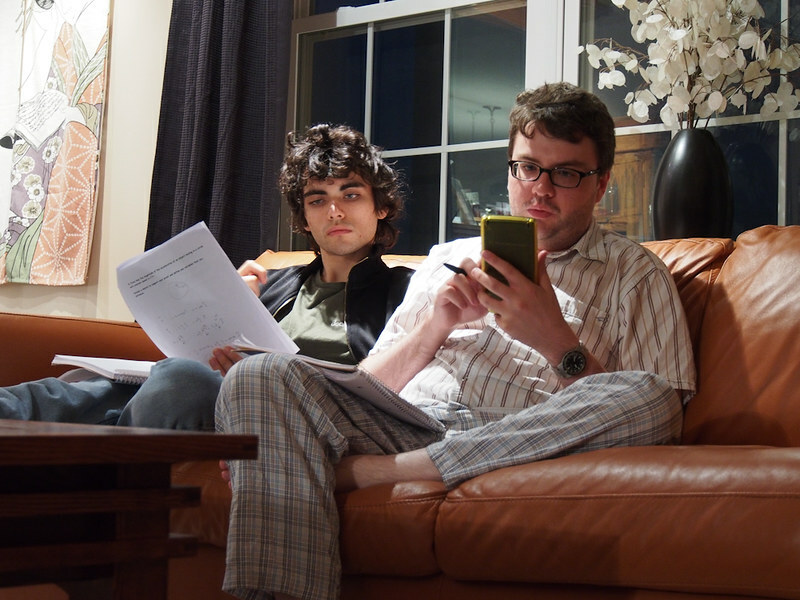 A raucous independence day; Dustin and Cody work on physics problems together. i love this picture so much. best brothers in the world. What kind of pants is Dustin wearing? They look like pajamas pants. Drew -- yep, those are pajama pants. This was some late-night physics-doing.